Nigerian singer KelvinBoj who is also a music producer has narrated his experience at a church in the United States. The singer who is based in Atlanta revealed how the church he attends operates when it comes to tithes. The singer explained that the pastor who owns his church makes it a priority to always share details about how much tithe was paid and how the money was spent for the purpose of the church and the congregation. KelvinBoj who shared a video of the pastor doing exactly what he said, noted that he narrated his experience because he sees a lot of drama happening in Nigeria over tithes. According to him, the head pastor, who was seen talking about tithes in the video, is also a Nigerian. 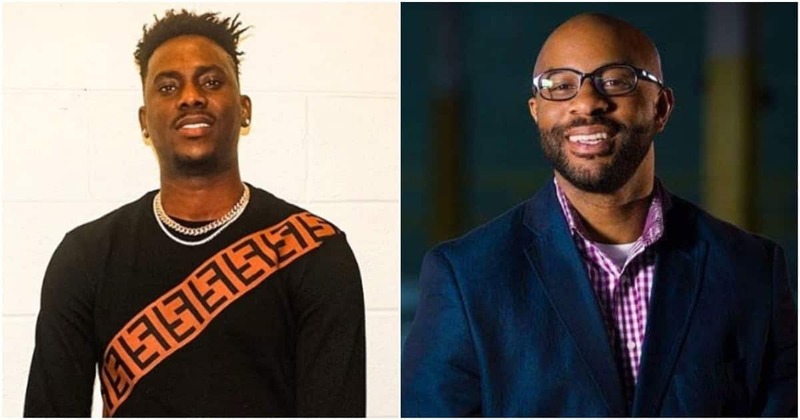 He identified the pastor as Olu Brown and even shared his Instagram account. In the video, the pastor could be heard talking about the church expenses and how every money is spent while standing in front of a screen that showed the data of the church's money. Meanwhile, Legit.ng had earlier reported that controversial media personality Daddy Freeze had come for the head of general overseer of Redeemed Christian Church of God, Pastor Enoch Adeboye. He asked the pastor to give the reason for all his members of his church.